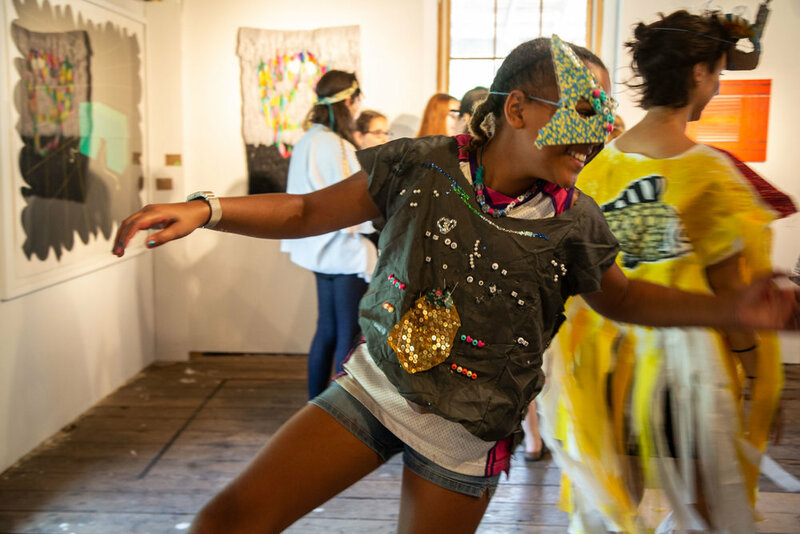 Camp Wassaic is a summer arts camp for students entering grades 6–9. 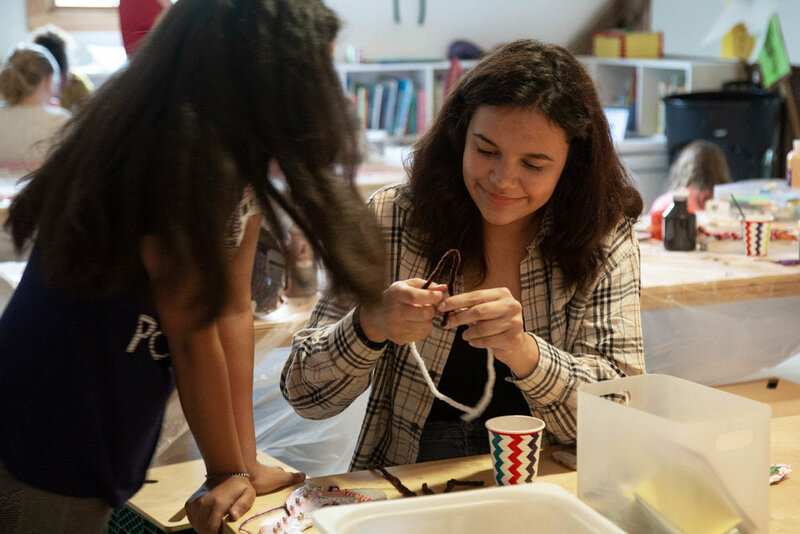 Under the guidance of our education fellows, campers spend a week drawing inspiration from artists-in-residence, group acting games, and Wassaic Project buildings — all capped off by a public performance at our annual summer festival. 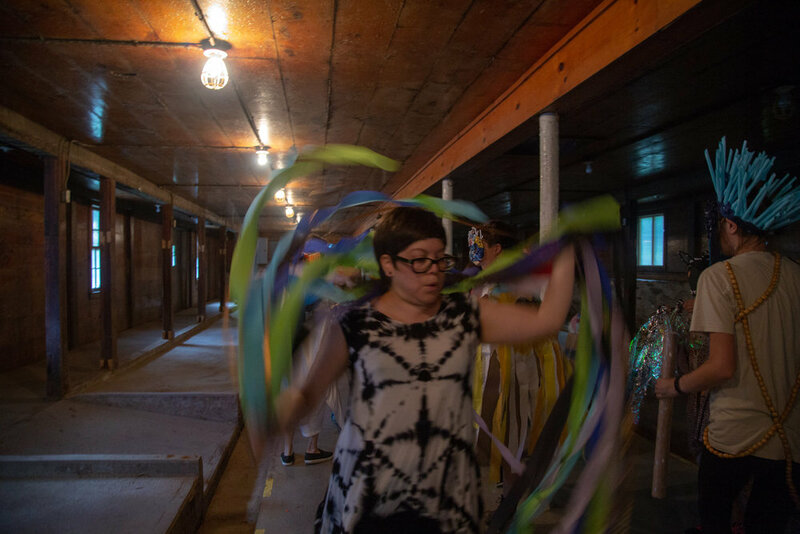 For 2018, Camp Wassaic was led by Jean Carla Rodea and Kathie Halfin, two of our summer education fellows and artists-in-residence. Throughout the week, Jean Carla and Kathie drew on their art practices to teach students about costume design, ritual, and inspiration. 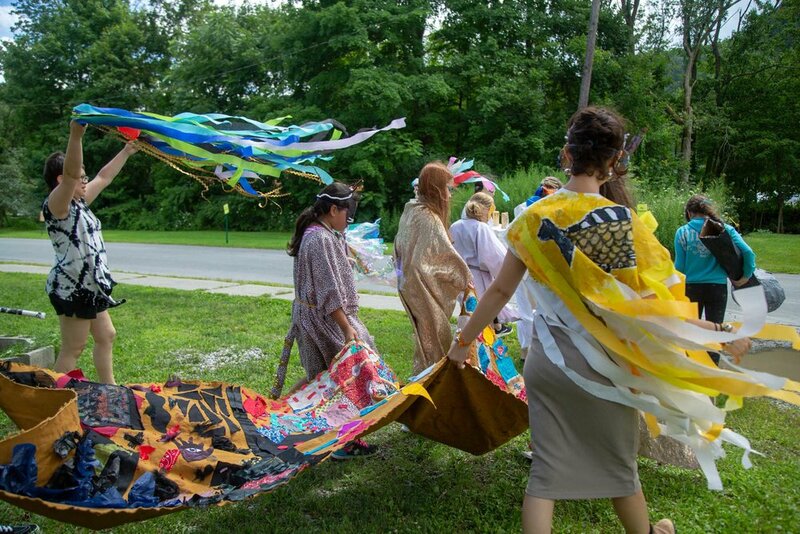 And at the end of the week, as the summer festival crowds flocked to Wassaic, campers donned their costumes and led a parade around the town.